Relationships are one of the three ways we believe we grow in our faith. This is often done by making connections with others through small groups. Below are current offerings. 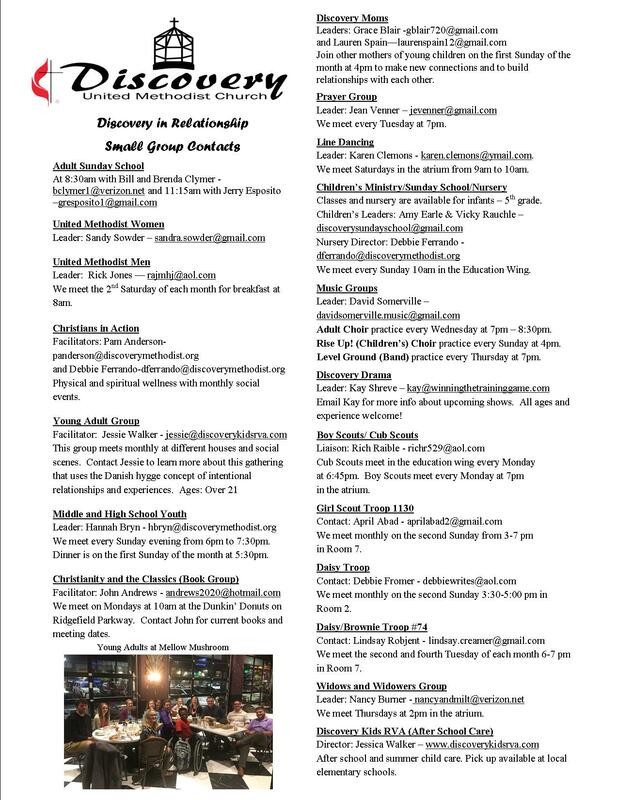 If you would like more information or would like to start a group contact Pastor Adam.